If a person calls himself something that does not really correspond to the truth, it does not need to be taken literally. Most likely, by using this tactic they are trying to express something completely different. But what that is exactly is something that needs to be understood. The recent scandal with the French cartoons engendered an entire wave of "I'm Charlie" performances: it was an expression of solidarity with those who died in the terrorist act at the editorial office of the French satirical magazine. Certainly, any murder can only bring about indignation and condemnation, but in the present case we are concerned with another issue: how do we understand the saying "I'm Charlie?" It can be interpreted in various ways. Curiously, this phrase does not have any direct meaning, since nobody that displayed it was an employee of the magazine. In other words, it is a metaphor. 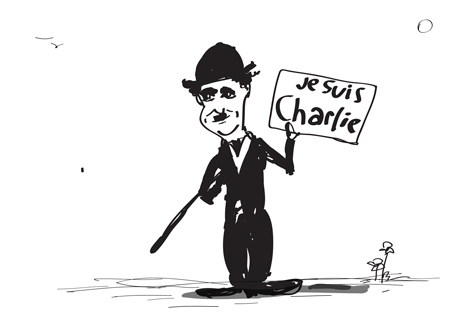 Those who say "I'm Charlie" intend it to be an exclusive protest over the barbaric encroachment on freedom of speech. But their adversaries oppose them: "Ah, so if you're Charlie, then you approve of those horrendous caricatures published in the magazine." The response to this would be something like: "No, we don't approve of the caricatures, but we definitely condemn the killings they brought about." These arguments are clear, but the problem is that they become clear only after the corresponding clarifications and comments: in itself the expression "I'm Charlie" does not contain any indication as to how it should be interpreted. And here an invisible mechanism enters the communication process that can be called, "but you understand what I was talking about." That is, those similar to you understand the shades of meaning, while those who are not - don't. The division into those similar and those who are not is conditioned first and foremost by those who understand and those who do not. And those who misunderstand it are the "others." Another curious case recently has been the use of offensive and insulting accusations in one's own address in a diametrically opposite, ironically sarcastic sense. The best example is the word "vatnik," which entered everyday usage about six months ago. Vatnik is the warm clothing known for being worn by prisoners in camps. The clothes are not worn by civilians and are associated exclusively with something primitive and aggressively criminal. And so the word "vatnik" is now being used derogatively for the Donetsk and Lugansk militias who are fighting the Kiev government for independence in southeastern Ukraine. Soon after, the term broadened its meaning. Since the militias are being supported by Russia, all Russians are now being called vatniks, too. Then, from the word "vatnik" came the word "vata" (cotton). But while "vatniks" are still people, "vata" has become a dehumanizing label for an imaginarily inert and hostile biomass threatening Ukraine from the east ("vata" in this case is something amorphous, passive and incapable of thinking). But then there was a paradoxical turnaround: Russians who had been called vatniks did not take offense but on the contrary started using this word to speak about themselves in a positive light. Now you can hear something like, "Yeah, I'm a vatnik," and such self-identification implies a positive interpretation, as well as a challenge: "Our grandfathers defeated fascism and vatnik in general is something that is natural for the severe Russian climate and it is also a traditional element of national Russian culture." A couple of days ago Altai State University even held a composition contest among students on the theme "Vatnik, a Proud Name." A person who says "I'm stupid" is significantly smarter than somebody that tells someone else, "You're stupid," since the former is capable of being self-deprecating, while the latter intends to be confrontational. But also, the trick is that the latter often does not understand the former's self-deprecation, which, alas, only further complicates the process of communication.